Have you upgraded from Windows 7 to Windows 10 or are in the Windows Insider program and are running low on disk space? If so you may have noticed the Windows.old folder weighing in at about 20gbs and you may have tried to delete it and failed – no matter how much permissions voodoo you’ve tried. 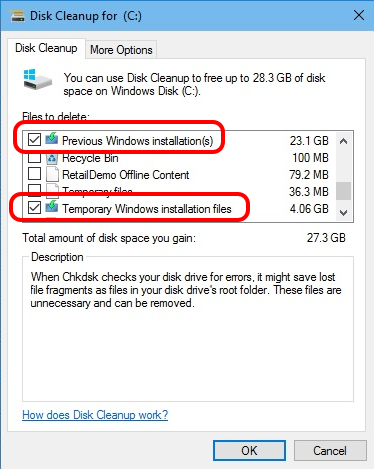 If your upgrade has gone smoothly and you’ve been running without issues you can safely delete the Windows.old folder using the Windows Disk Cleanup utility. Issue: running low on disk space, need to delete Windows.old folder. Type Disk Cleanup in the Cortana Search field, in the list of results, click Disk Cleanup. 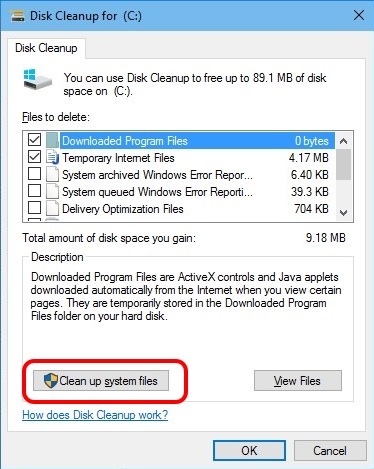 On the Disk Cleanup tab, click Clean up system files.